Annual General Meetings are supposed to be an ornament of transparency that is associated with publicly listed companies. Important decisions that influence business and sustainability performance of the company are put to vote in front of all shareholders, irrespective of the number of shares held by them. In most companies, each share accounts for one vote and therefore, the participation of each shareholder can be critical. 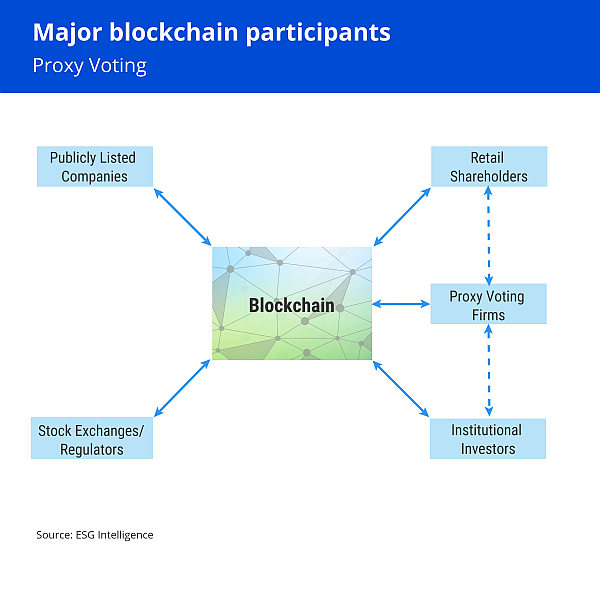 Proxy voting has emerged as an important tool for corporations to invite participation of all shareholders, and several traditional and digital channels are being used by companies to facilitate proxy voting. Despite being an important tool for bringing transparency, active ownership and making customer-centric decisions, today’s scenario of the proxy voting process has significant headroom for improvement. According to Broadridge, 86% of the institutional investors, and 27% of retail investors voted in 1040 annual meetings held between July 1 and December 31, 2017. The poor participation of retail investors in the voting process is a cause for concern because it gives disproportionate power to active investors, which could adversely influence corporate decisions. This becomes an even bigger problem, in small and mid-cap companies where institutional shareholding is low, and low turn-out of retail investors can give disproportionate voting power to promoters of the companies. The current proxy process is also expensive and error-prone as it involves significant manual intervention. Companies are rapidly moving to digitized proxy-voting and virtual shareholder meetings. However, the processes adopted by each company varies. If the stock-exchange creates a central blockchain based registry of all shareholders of public companies with a provision of proxy voting, it can yield significant benefits in terms of transparency, efficiency, and uniformity. Increase in the number of voting shareholders at the expense of minority shareholders who usually do not participate in the voting process because of its high expense. Eliminate the process of printing and distributing proxies as all the details regarding the meeting and the agenda can be easily made available to investors online or through their phone. Eliminate the errors arising from human intervention as the process can be completely automated. Provide real-time access to voting results to shareholders and enable exchanges to trace full voting history in real time. It is heartening to see that several industry stakeholders have initiated blockchain projects to make the proxy voting process more transparent and efficient. Learnings from these projects can pave the way for commercialization and larger adoption of this technology that can truly democratize the way retail investors own public companies. Santander, Broadridge, J.P. Morgan in collaboration with Northern Trust have successfully completed their pilot in March 2018 to use blockchain in proxy voting. The blockchain pilot was utilized to produce a shadow digital register of the proxy voting taking place. It helped institutional investors to get an insight on how their votes could be counted and confirmed much more quickly, instead of having to wait two weeks in a process that includes manual activity by different intermediaries. Tallinn Stock Exchange, The Estonia Central Securities Depository and Nasdaq have successfully completed a pilot test for blockchain proxy-voting in January 2017. The investors were able to vote online during investor meetings or transfer their voting rights to a proxy. The project streamlined the process of E-Voting which, otherwise, is highly manual and time-consuming. Abu Dhabi Securities Exchange (ADX) has launched a Blockchain-enabled e-Voting platform and has commercialized it’s use in May 2017. It enables shareholders of listed companies on the exchange to vote during annual general meetings. The aim was to facilitate a simpler and more effective voting process, so that each transaction on the ADX-developed blockchain platform will be counted as a vote. Also, it increased the number of voting shareholders. The National Settlement Depository (NSD), Russia, in partnership with DSX technologies successfully tested an e-proxy voting system running on blockchain in May 2016. On the platform, Bondholder passed a vote to a nominal bondholder, who submitted a vote to the blockchain. Then, the counting commission counted the votes and submitted the results to the blockchain. The Bondholder was able to verify whether the votes have been counted correctly. This decreased operational risk and allowed votes to be anonymously verified and counted. TMX Group in collaboration with Accenture announced a prototype E-voting platform for shareholders using blockchain in April 2017. It aimed to eliminate the need for shareholders to be physically present during the voting process and use a digital signature from anywhere to verify their vote. This was done in order to improve efficiency and accuracy of the voting process during annual shareholder meetings, while enhancing security through cryptography.